Desi Smith/Staff Photo. 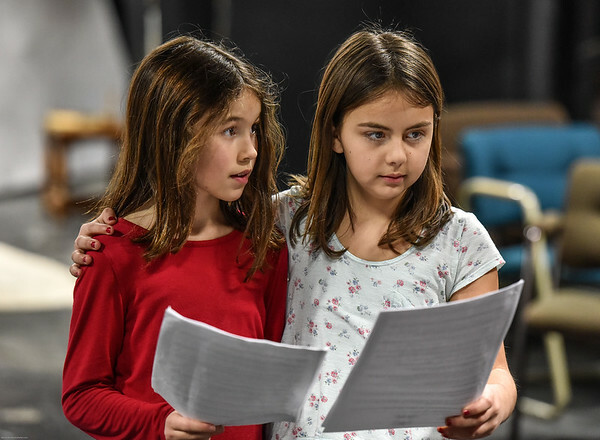 From left to right, April Smith 8, of Gloucester and Riley Campbell, 9, Rockport, run their lines as they act out a scene in a short play of Late Red Riding Hood, during a Youth Acting Workshop held Friday afternoon at the Gloucester Stage Company under the guidance of Acting Teacher and Workshop Director Heidi Dallin. March 6,2015.